The health benefits of camphor oil include its properties as a stimulant, antispasmodic, antiseptic, decongestant, anesthetic, sedative, and nervous pacifier. It also acts as an antineuralgic, anti-inflammatory, disinfectant, and an insecticide. Eucalyptus oil, also known as ‘Nilgiri tel‘ (Hindi) is one ingredient that can have far-reaching effects on our overall well-being. This amazing oil is obtained from the dried leaves of the eucalyptus tree. These sweet-scented leaves are steam-distilled to make the oil. This oil is a colorless liquid with a strong woody and sweet scent. Flaxseed oil, also known as flax oil or linseed oil, is made from flaxseeds that have been ground and pressed to release their natural oil. Karanja Taila is an herbal oil. 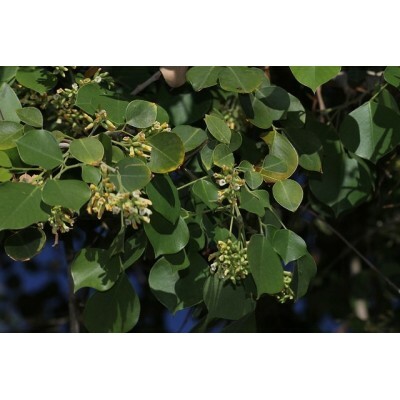 It is used in the treatment of herpes, boils and abscesses. It is most commonly used in north Indian Ayurvedic practice. This medicine should strictly be used under medical supervision. Mustard oil is extracted from the seeds of the mustard plant. It has culinary as well as therapeutic uses.